As a seller, it is vital to have a reliable and trustworthy supplier. Certainly, the success of one business depends on the products being sold, it basically represents the whole business, and thus choosing the best supplier matters most. Finding the best suppliers takes a little bit of patience, research, intuition and tons of luck. The best supplier basically must be reliable, negotiable, offers high quality products and good customer service. There are many ways to locate a good supplier – thru the Internet, friend referral, yellow pages, industry events, etc. Two infamous happy hunting grounds for most sellers are Alibaba and Global Sources. Alibaba – Founded in 1999 by Jack Ma. Alibaba is a Chinese e-commerce company that provides consumer-to-consumer, business-to-consumer and business-to-business sales services via web portals. It also provides electronic payment services, a shopping search engine and data-centric cloud computing services. Global Sources – Founded in November 1970 by Merle A. Hinrichs and C. Joseph Bendy. 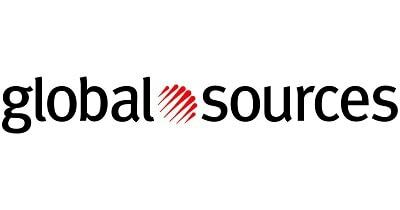 Global Sources is a Hong-Kong based business-to-business (B2B) media company.It facilitates trade from Greater China to the world, using a wide range of English-language media and facilitates trade from the world to Greater China, using Chinese-language media. The company provides sourcing information to volume buyers and integrated marketing services to suppliers. Reputation: Global sources is 29 years older than Alibaba hence they are more experienced with the export and selling market. Moreover, their suppliers are said to be more reliable and their products have higher quality. Alibaba faces problems over counterfeit goods; hence their reputation was slightly put on danger. Did you know that Alibaba was included in the United States’ blacklisted list of “notorious markets” over selling counterfeit goods? Fame: Alibaba may be younger than Global Sources in the trading industry but it still is the largest wholesale business to business marketplace in the world. Millions of users sift thru pages of Alibaba, it is very well known all over the world. In fact, when I hear trading industry, Alibaba is the first thing that comes to mind. Products: While Alibaba is known as the jack of all trades, Global Sources mainly focuses on electronics, mobile electronics, fashion and gifts & home, while catering also the same categories as Alibaba’s. Company Profit: As previously mentioned, Alibaba ranks as the biggest trading industry in the world, so having a whopping net profit of $2.1B as of June 30, 2017 is not so surprising at all. Meanwhile, Global Sources has an estimated net profit of $19.8M. Quality or Credibility: Alibaba has a million suppliers, one search and thousands of suppliers and products will be presented to you in less than a minute. As previously mentioned, Alibaba still struggles over counterfeit goods, and you certainly want to avoid that by carefully selecting the best supplier you can find. Globalsources on the other hand, kind of filters their suppliers and stricter than Alibaba when it comes to the quality of goods being sold on their website, that’s probably why it has lesser number of suppliers than Alibaba who has about a million registered suppliers, can you imagine the chance of stumbling upon one bad supplier, yikes. Main Advantage: Alibaba is a huge market place; hence it gives you way too many options you can freely choose from. 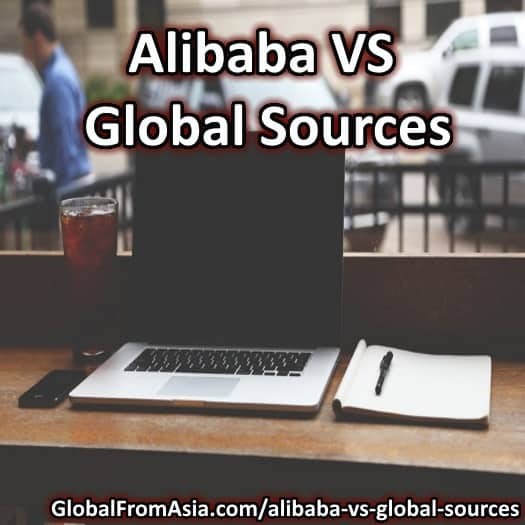 Global Sources does not have the same numbers as Alibaba but it offers pretty much reliable suppliers and higher quality merchandise. Alibaba vs Global Sources. Which directory is better? Security Supplier-verification, enhanced buyer profile credit-check, supplier-capability-assessment, supplier verification. Honestly, we couldn’t just tell which is better. Maybe it depends on the product category, maybe it depends on how specific you were in searching, and maybe it depends on the supplier. Remember that both websites are just a selling platform, the products sold or the suppliers do not exactly define both of them. At some point, you will encounter one bad supplier at both platforms, but this could be avoided as long as searching is done meticulously and carefully. Still, these two large B2B companies is indeed a happy hunting ground for many sellers. How About Your Opinion? Which Database is Better Alibaba or Global Sources? Fill out the poll below and also see what others have voted too! Which Is Better: Alibaba or Global Sources? In your experience, which manufacturer directory has been more helpful in your sourcing endeavors? This video clearly explains the differences between Alibaba and Global Sources. Each of these companies have strengths and weaknesses. The best company can only be determined based on what one’s specific needs are. As a seller and manufacturer of clothing i have both account on alibaba and global source. But i saw alibaba has more fake buyer then global source. Global source gain more popularity day by day. Anyways, i am not against alibaba coz it is one of the top rated B2B market in online world.